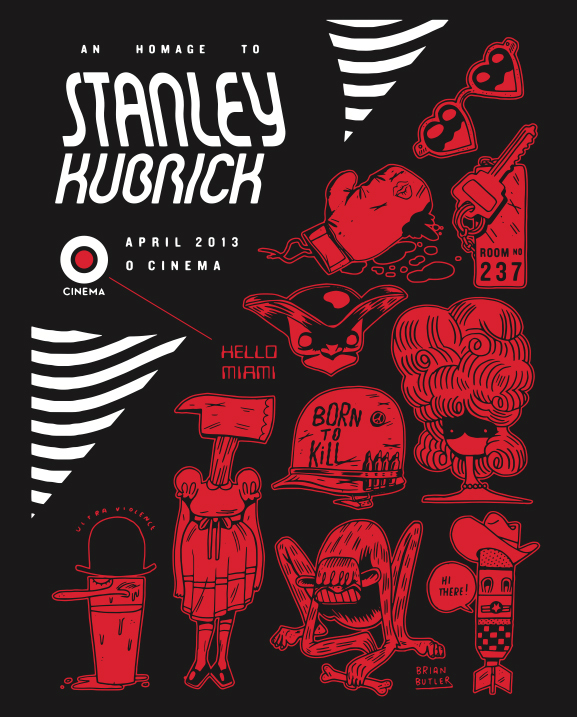 O Cinema was holding a Stanley Kubrick movie marathon in to coincide with the premeir of Room No. 237 in Miami. I made these guys, and had them printed by the guys at Iron Forge Press.